Penticton, BC: The Penticton Vees (33-14-2-2) will have to quickly put a frustrating overtime loss to the Vernon Vipers (23-19-7-3) behind them as they head to Kal Tire Place for the sixth and final meeting of the season Saturday night. Friday, the Vees lead 2-0 heading into the third period before the Vipers rallied to tie the game with just 17 seconds left before winning the game in overtime. Eric Linell’s 26th goal of the season gave the Vees a 1-0 lead after the opening 20 minutes as he jumped on a loose puck following Peter Muzyka’s point shot. The goal ended an eight-game drought for the high-scoring winger. Muzyka was then ejected from the game in the second period after levelling Ben Helgeson with an open-ice hit in-between the two benches. Muzyka was given a five-minute blow to the head penalty and a game misconduct. The Vipers couldn’t score on the major, nor the minor penalty the Vees took shortly after, before Penticton went back to the man advantage. Mason Snell’s centring feed from the left circle went off a Vipers skate and into the net for his fifth of the year, extending Penticton’s lead to 2-0 after two periods. The Vipers comeback began early in the third following an undisciplined penalty in the offensive zone. Jack Judson ended a 0-for-33 power play drought for the Vipers 4:30 into the third to cut the lead to 2-1. With the net empty and time running out, the Vipers held the Vees in their own zone for well over a minute before finding the back of the net as Lane Zablocki found a loose puck on Jack LaFontaine’s glove side with 17 seconds to go. In overtime the two teams traded chances before the Vees defence was caught sleeping. Zablocki was behind the two Vees defenders, took a stretch pass and came in on a breakaway, sliding the puck past the left pad of LaFontaine to end the game. The sixth and final meeting of the season series goes Saturday in Vernon for a 6:00 start. 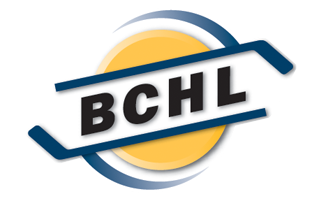 Penticton will look to finish the season series with a 4-1-1 record against the Vipers. 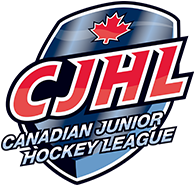 The Vees are 14-1-1 following a loss so far this season.